Warp Academy is an online music academy for producers and performers using Ableton Live. Created and run by Ableton Certified Trainers, we’re an Ableton Certified Training Center focused exclusively on sharing the best possible online education related to Ableton Live. We created Warp Academy to help aspiring musicians and music producers like yourself jumpstart their education with Ableton Live. If you have ever asked yourself either of these questions, this blog post is for you. If you know a friend who is just beginning their path into music production, keep reading because this blog post is for them too. In this post, we will explain step-by-step which courses on Warp Academy you should start with first, what order you should take them in, and how to take advantage of an exclusive opportunity we’ve established for our community members. If James Bond was going to learn music production this is how he would do it. (View a detailed comparison of Suite & Standard here. )*USA residents pay the same prices shown but in US dollars. 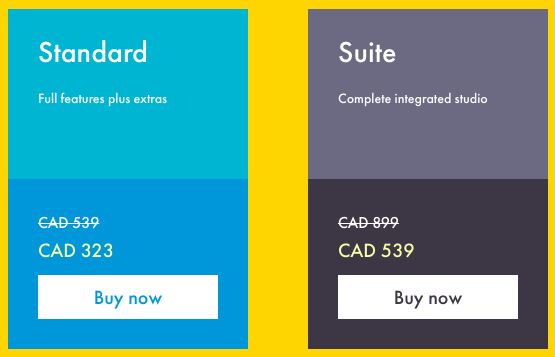 With this educational pricing, you save $216 on Live 10 Standard and $360 on Live 10 Suite! If you grab Ableton Live 10 Suite*(really a no brainer…let us explain why), the $300 worth of education you purchased from us is basically FREE with the $360 you save in educational pricing at Ableton. *Not interested in Live 10 Suite? No sweat! Grab Live 10 Standard and you still save $216! What are our recommended courses? check it out! As you probably already know, we’ve got a LOT of dope (aka super awesome) courses covering a wide spectrum of broad and specialized topics based in Ableton Live. The following courses are our hot and top picks for the eager learner! (I’m talking about you). Purchase all of these courses and you’ll be over the $300 threshold and KERBLAMMO! You’ve just attained your edu-discount eligibility! You’ll get to put refined tips and tricks on program operation and sound design into your brain AND reap the benefits of the 40% discount (benefits like, pizza! [or whatever else you’ll spend your saved moolah on]). 2. 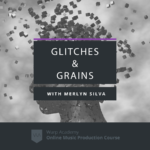 Glitches & Grains ($79 USD)– Glitches and Grains puts an array of wicked-powerful new weapons in your sound design arsenal. 3. 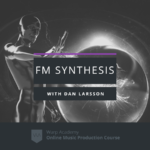 FM Synthesis Masterclass ($67 USD) – Harness the power of FM synthesis and take your sound design to a whole new dimension. Get the edge that’ll truly make your tracks stand out. Learn to make the world’s most advanced synths do your bidding. 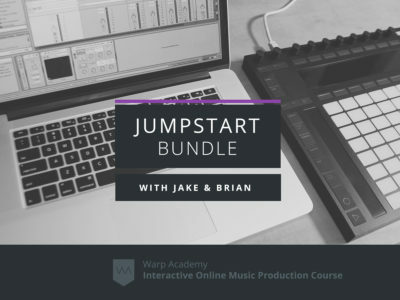 Another heavy-hitting Sound design course by Warp Academy! This one was created by our man, Dan Larrson who has been a prominent sound designer in the industry for the past 6 years, with sample packs on Warp Academy, Loopmasters, CR2, and 5pinmedia. Under the name Mr Fox, he’s released music on the prestigious bass music label, Simplify Recordings. He currently goes by Vuxem, creating anthematic, hard-hitting bass tunes. Dan’s an avid teacher and has done a wide range of tutorials and courses on synthesis and sound design. All of those only costs you $345 USD! (That’s a smashing deal if you ask me). After making your purchase take a screenshot image of the receipt we email you OR when logged in click on My Account in the top right hand menu of Warp Academy, and then scroll down to ‘Recent Orders’, on the My Account page, click on your order number and take a screenshot of the full invoice. To activate the discount, kindly send a copy of your receipt from Warp Academy to [email protected] with the subject line ‘Warp Academy Verification’. Ableton will then activate the discount and inform you of the next steps. STEP 3. Send a copy of your receipt from Warp Academy courses (not including the cost of Ableton) to [email protected] with the subject line ‘Warp Academy Verification’. Do I have to purchase the recommended courses? Noperoni! You don’t have to purchase the recommended courses. You are eligible for the discount as long as the total of your cart is equal to our greater than $300 USD. You can choose any courses you want! Can I get this discount if I already own a version of Ableton Live and would like to upgrade? Sorry, this discount is only available for new purchases. No upgrade options are available on our store. What exactly will I learn in each course? Each one of our product pages contains a full course description, course curriculum and free full-length preview videos from the course. We highly recommend checking out each course page fully and watching the free preview videos! That way you can ensure that this bundle is right for you. How can I be eligible for educational pricing? To be eligible for the Educational discount pricing you need to purchase Ableton Live from this link, and then email a copy of your receipt(s) from Warp Academy to [email protected] totaling $300 or more. What if I already have a copy of Ableton Live? How long do I get access to course videos and materials for? You get lifetime access to the course videos and materials. How long will it take Ableton to approve my software license? Ableton states on their educational pricing page that you will typically get a response of verification in 1-2 days. If you can’t wait for the verification process to run its course, you can use the free 30-day license to make music while Ableton verifies. For any further inquiries into our course catalog browse the entire library here. Our ninja support team is all hopped up on green tea and would be absolutely stoked to help answer any questions you still may have. Send them a message here.